Thank you all for the questions raised, DxChain Team is very much appreciated and willing to answer each of them. Let’s always keep thinking and moving forward. 1. How can I become a node on DxChain? 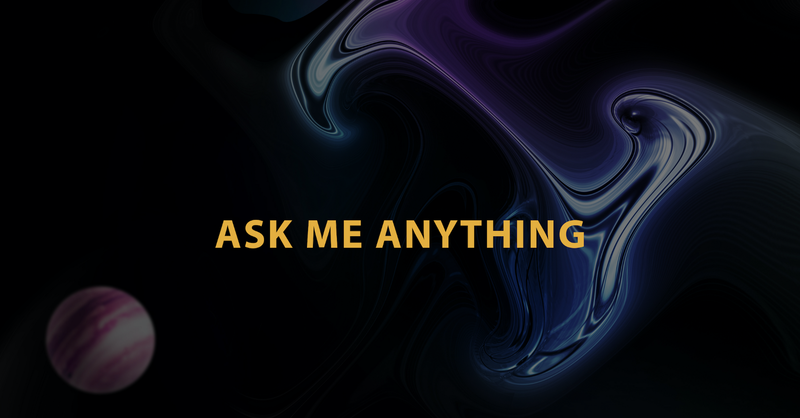 I have answered this question in previous AMA: there is no special requirement to run a DxChain node. We would like to involve as many people as possible to join in the decentralized world and the DxChain community. So any general computer with Windows, Linux, and Mac OS X would be a node to run DxChain after our Mainnet launch. And some of the recommendations would help you to get advantages during mining: longer online time, faster Internet connection speed, fast disk speed, large disk storage. 2. What about running DxChain nodes on the iPhone? For example in a “DX wallet”? As planned, we are working on and will firstly release the miner portals for Linux, Windows and Mac. And we will consider developing mobile versions of DxBox and DxWallet in the future. Thank you for your suggestion. 3. What’s the use of DX? After DxChain Mainnet release this year, we will provide a high performance, reliable blockchain based storage platform to our community, including developers and end users community. 1) The developers can build dapps on DxChain platform, while end users of the dapps will need to buy or hold tokens for their services. 3) Also, DxChain would be a trusted data exchange platform, and users who would like to buy or sell their data will also need DxChain tokens. 4) Furthermore, we will also expand other scenarios of DX, such as smart medical, IoT, etc., to make DX a practical utility token for more people. 4. How is the cooperation with QuarkChain going? Is it smoothly? Yes, it is. DxChain and Quarkchain have been strategic partners since July last year and have been working closely on technology development and product operations. In the future, we will further explore the opportunities for cooperation in technology application and business with each other. 5. What’re your rules for the DxBox experience feedback? First of all, thanks for your participation. to let us know your feedback or suggestion for DxChain Testnet and DxBox. 1,000 points are awarded to any meaningful comments within 5 days after the activity. We will pick 3 most constructive suggestions/advice after the activity and award each user 50,000 community points extra! Don’t miss out! Very much appreciate your opinion! 6. I heard DX is going to list on a new exchange. Is it Binance? We cannot disclose details about the new exchange now. But we are planning to add one more exchange with good liquidity very soon. Stay tuned! 7. Any new activities in the near future? Sure! We will have several new bounties and activities for our community this month! Details will be published soon.